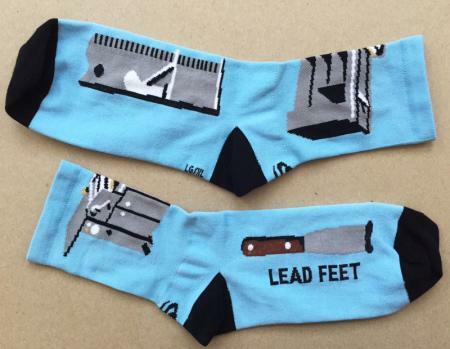 Printshops are notoriously located in dark basements and draughty old academic buildings - stay warm this season with our new Steam Whistle Brand “Lead Feet” Letterpress Socks. 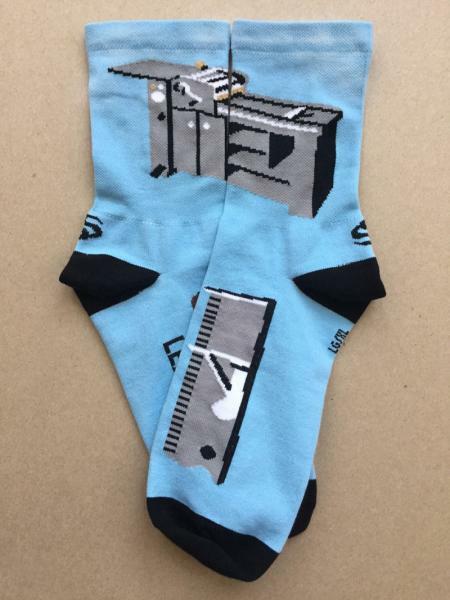 The design features a proofing press of non-specific manufacture on the cuff, a composing stick and ink knife on the top of the foot and the words “LEAD FEET” on the sole over a solid non-repro blue background. 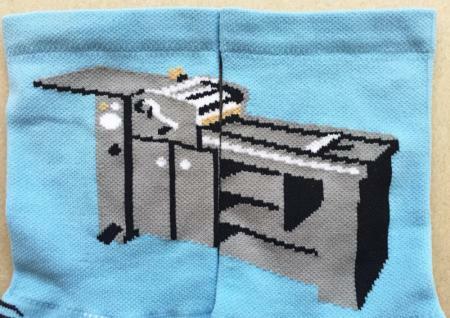 They come in two sizes, S/M and L/XL. 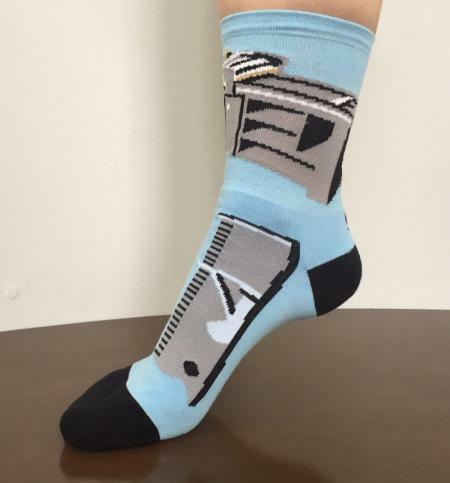 These high performance sport socks are knit from COOLMAX and LYCRA yarns and they are Made in the USA for years of trouble-free printing to help you step up your letterpress game.